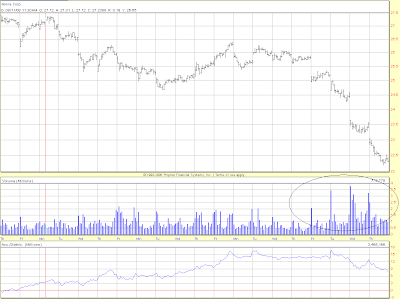 This makes a week of curious price and volume action in Nokia shares on both sides of the Atlantic. What could it be about? Market reports didn't know though they asked. Traders didn't know. Nokia said nothing. Exhibit 1: Nokia headlines from Dow Jones Newswires in the last 25 minutes. Funny, that. But at least it's good to know one can always count on human nature. NB: Author short Nokia, ta to DBS.